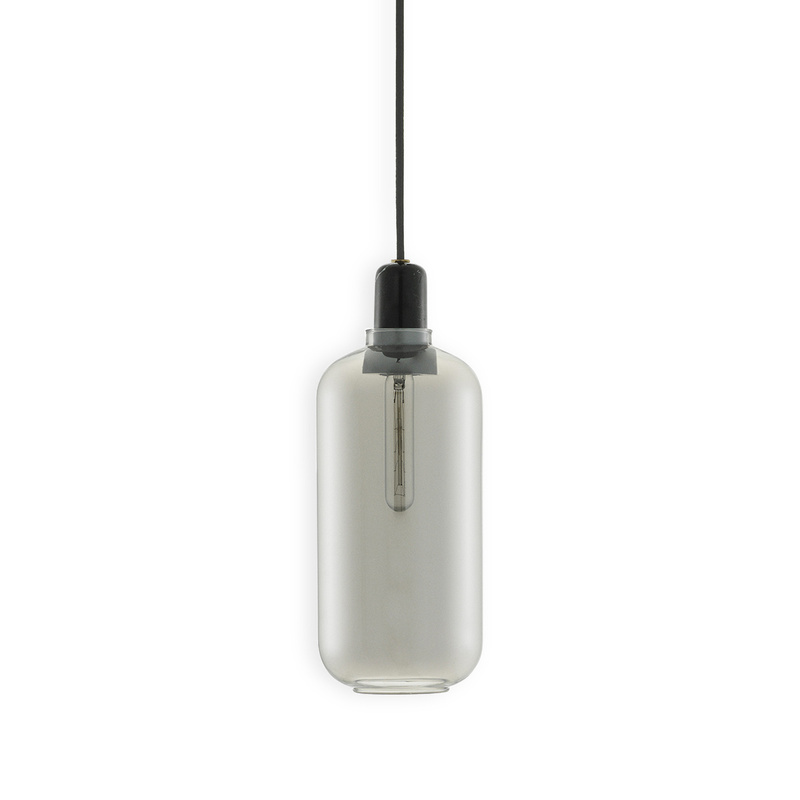 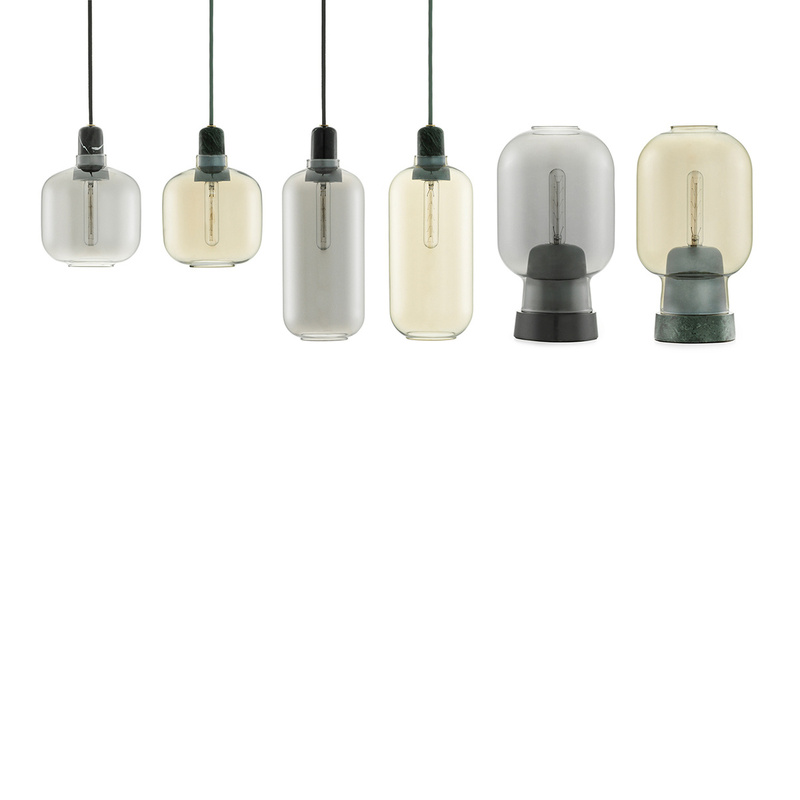 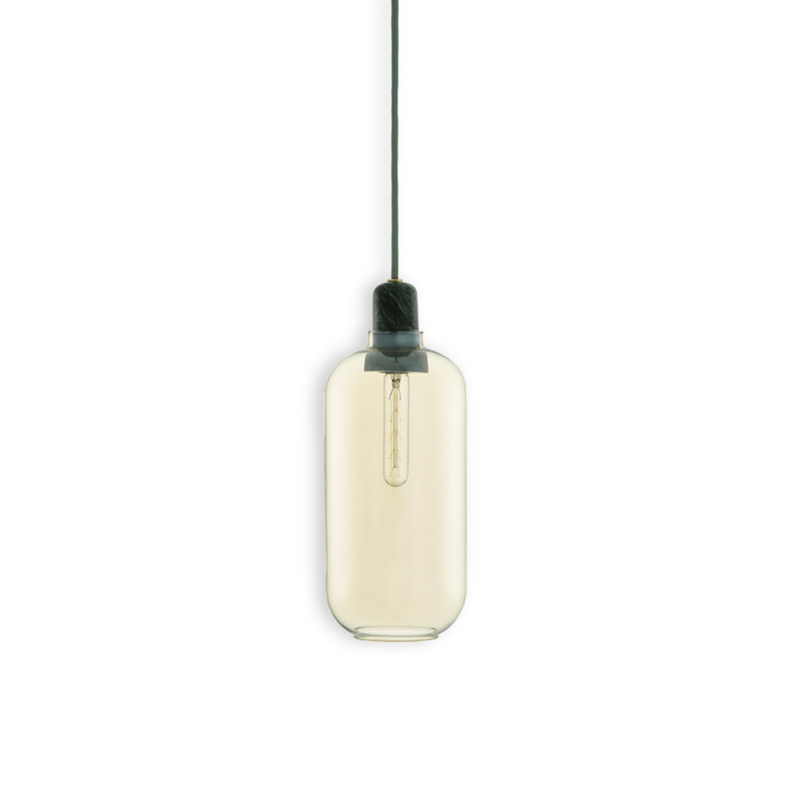 The Amp large pendant by Normann Copenhagen is an object that can not go unnoticed by Industrial style lovers, a design idea whose beginnings can be placed between the fifties and the sixties and that today is experiencing a genuine second youth. 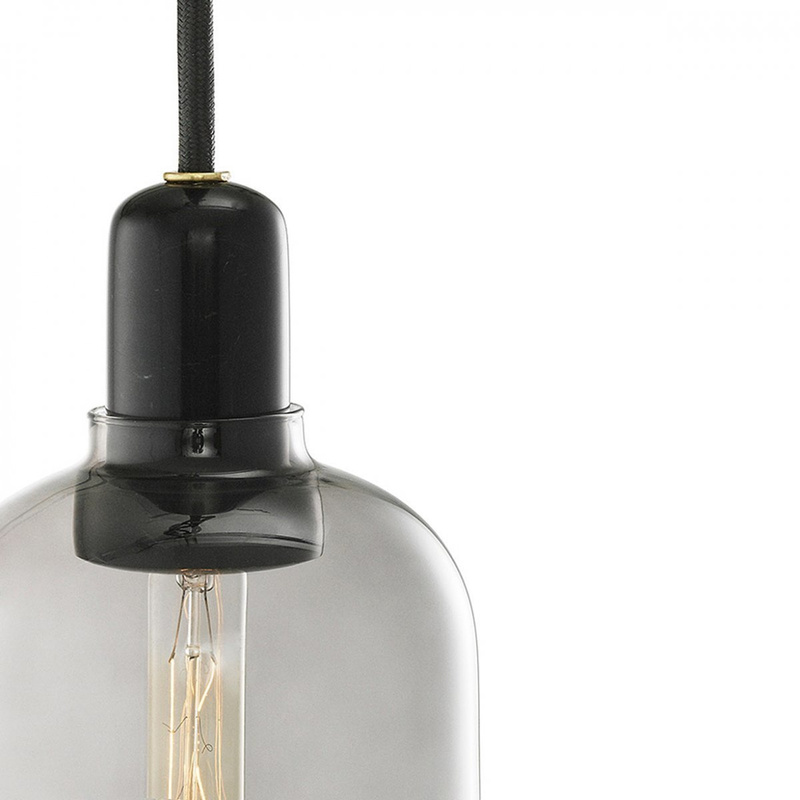 The Industrial style arose from the need to reuse in domestic spaces items previously used in industries and working contexts, and the Amp chandelier perfectly fits this design idea: this chandelier, especially when combined with metal furniture and other retro elements, can certainly recreate the Interior Industrial Design par excellence. 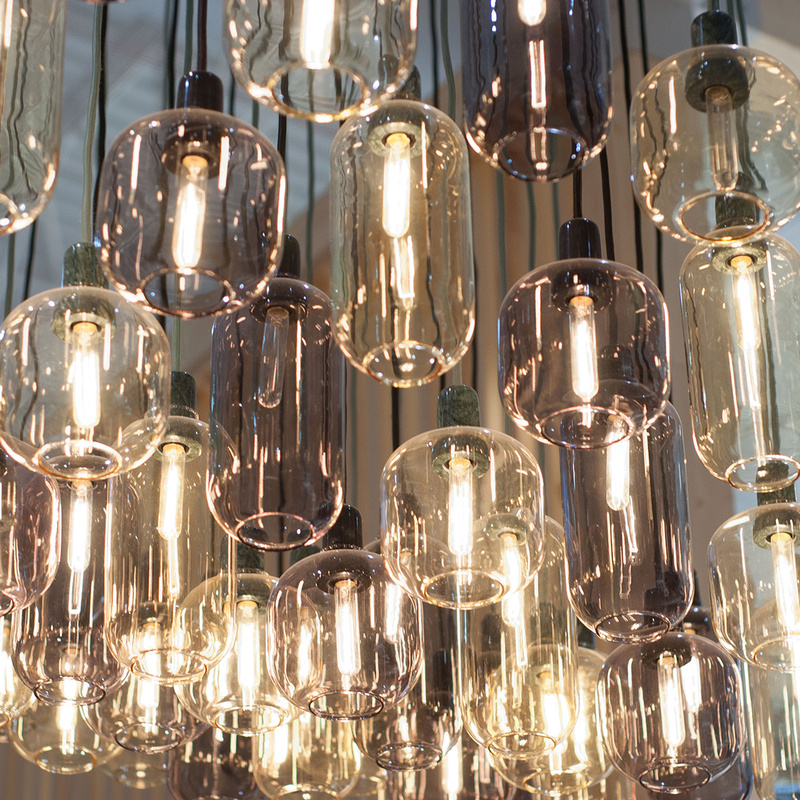 The Amp large chandelier is undoubtedly a classic article, therefore, but also distinguishes itself for its rather modern details. 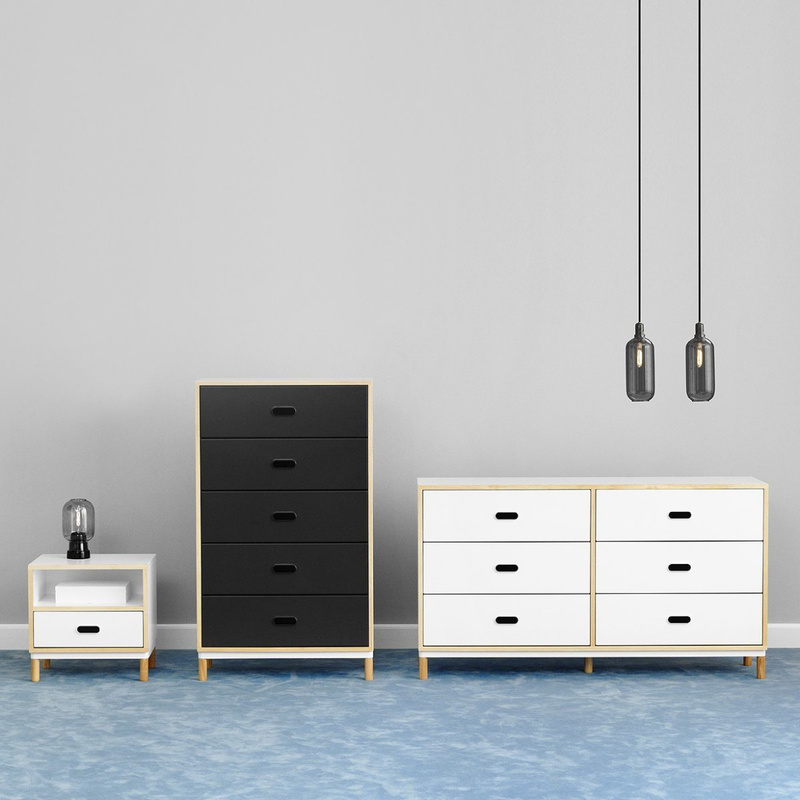 The Industrial furniture, moreover, is not simple to define: although it is a style that has an ancient history, in fact, many designers consider it a very suitable design for modern contexts, such as small metropolitan apartments. 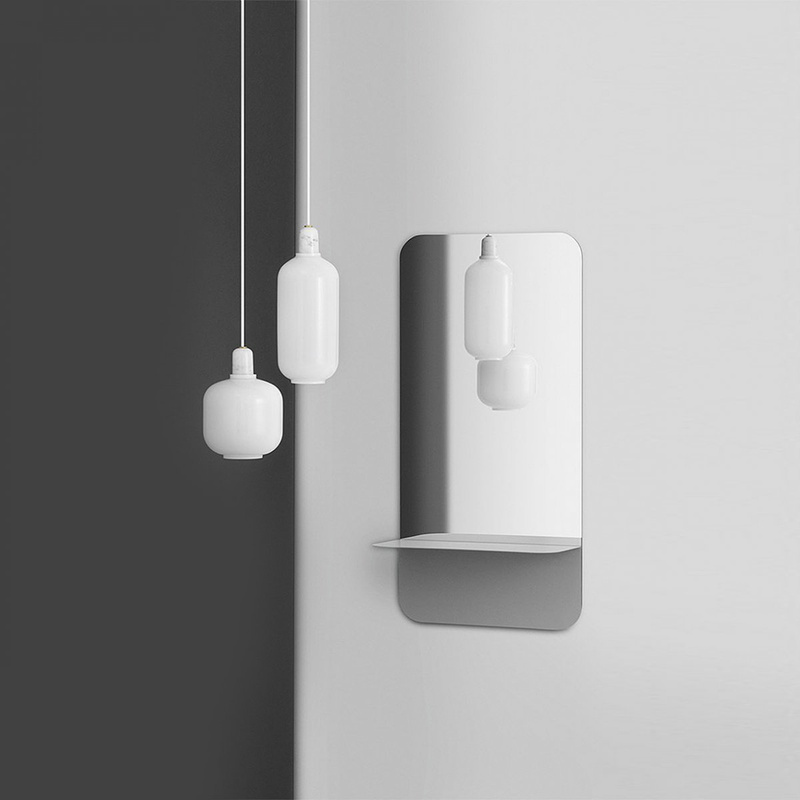 The Amp internal structure is made of marble, while the outside is made of glass, strictly transparent just like in the sixties; this specific model also features a slightly tapered shape, which makes it even more eye-catching. 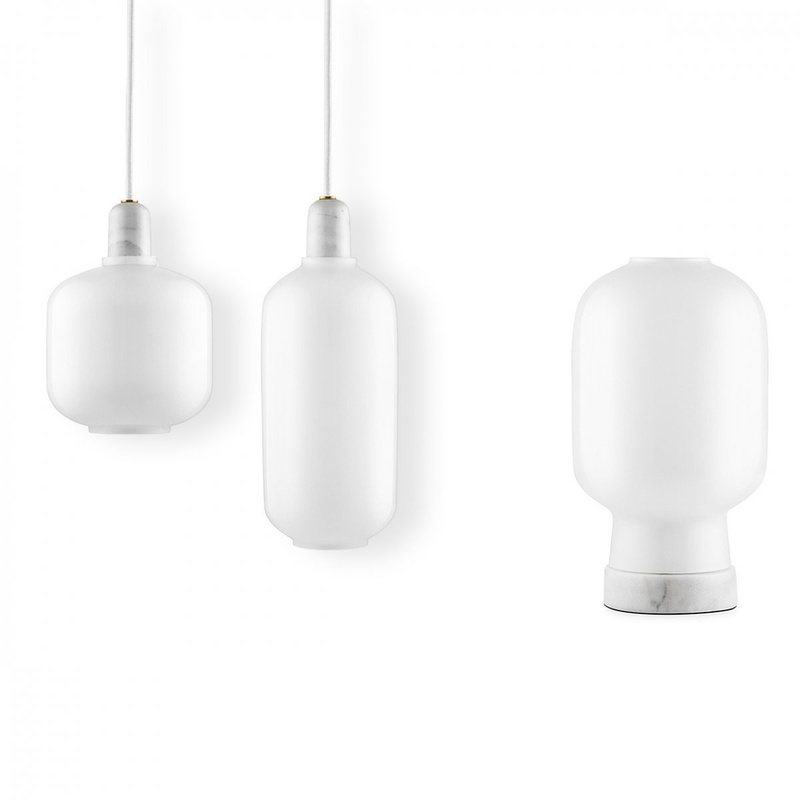 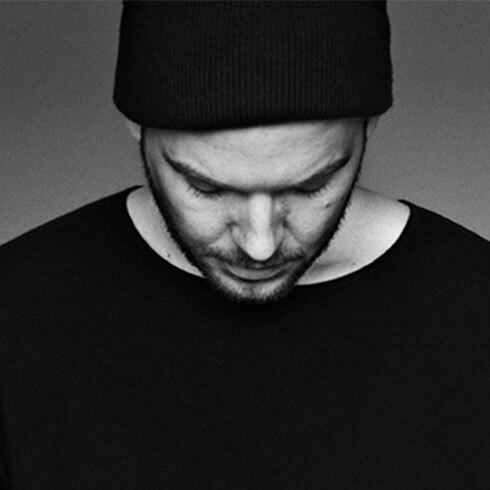 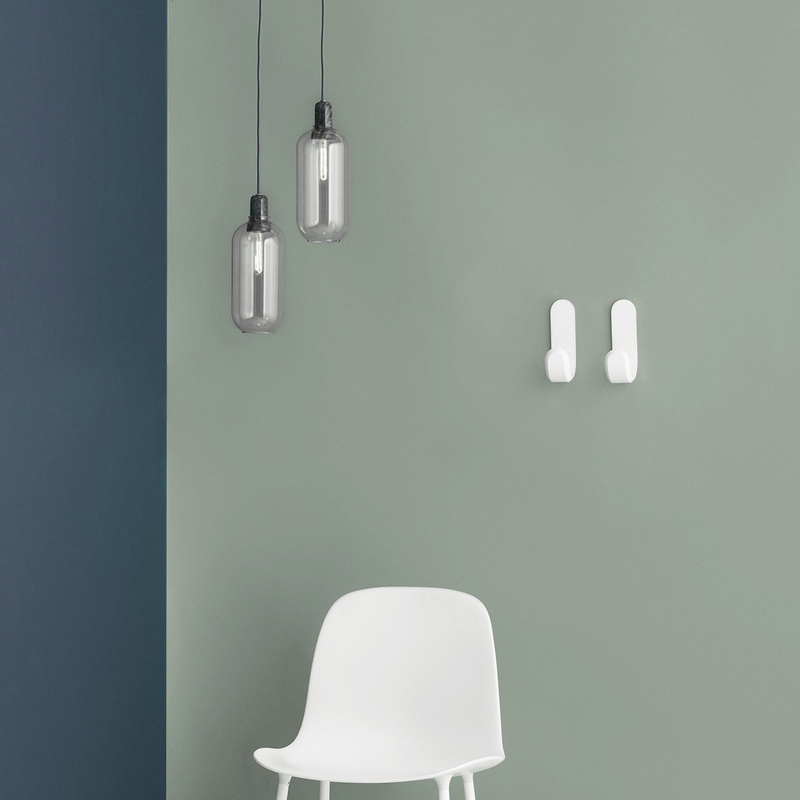 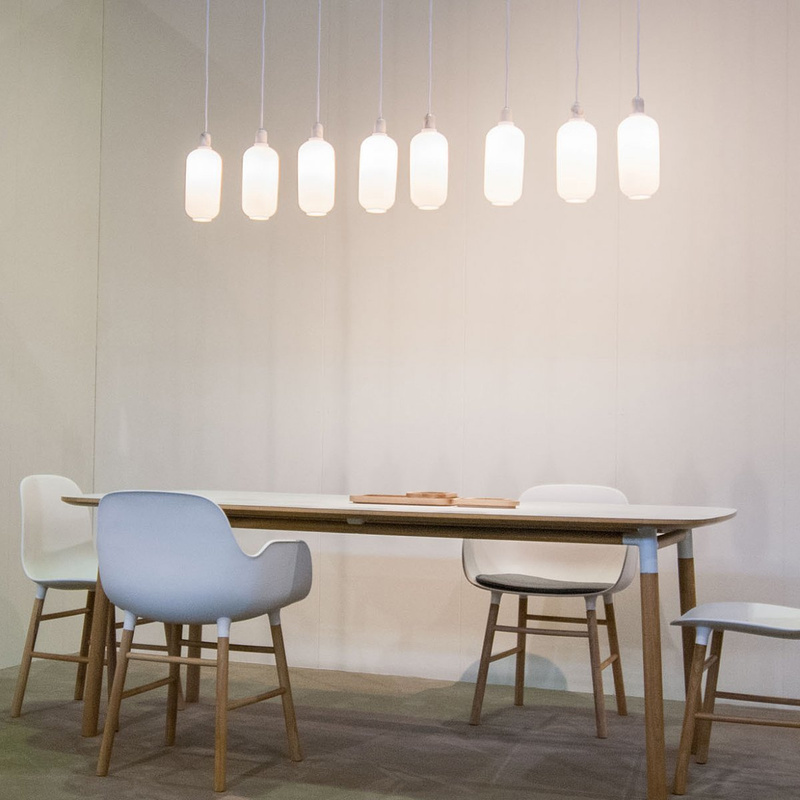 Normann Copenhagen also offers other models of lamps belonging to the Amp line, which have different shapes and colour tones, and can be a great idea to associate different models belonging to the same line. 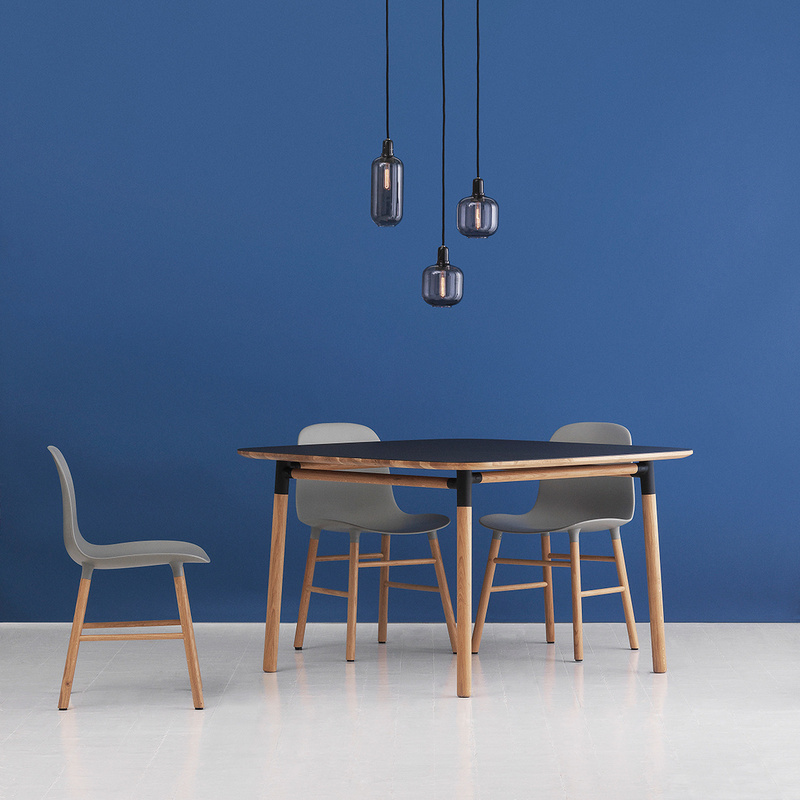 The Amp large chandelier is perfect for a living room, a kitchen, a bedroom, without forgetting the fact that these articles are also suitable and particularly popular for decorating premises, such as restaurants and pubs. Even just a simple detail is enough to make special the style of a room, and this pendant can really give a lot of personality to the space in which it is located. 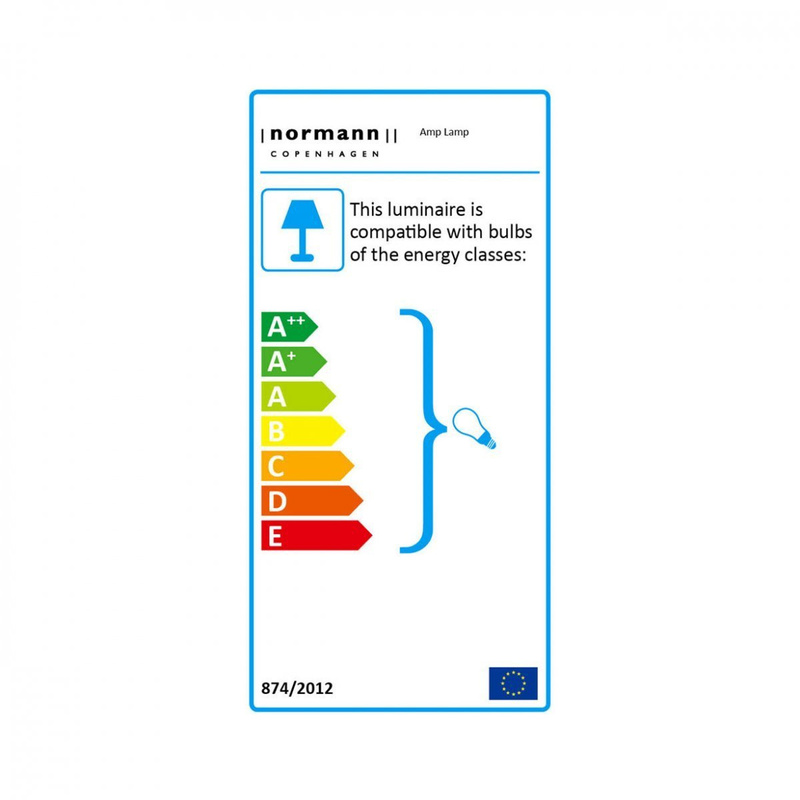 Information: bulb not included and recommended type: E14 0.5 Watt; the thread to hang it is 4 meters long; clean with a damp cloth.